Sunroof, Heated Seats, iPod/MP3 Input, CD Player, Onboard Communications System, Satellite Radio, POWER REAR DOOR W/KICK SENSOR. Eminent White Pearl exterior and Black interior, UX 200 trim. EPA 37 MPG Hwy/29 MPG City! SEE MORE! PREMIUM PACKAGE Washi Instrument Panel, Driver & Passenger Seat Ventilation, Rain Sensor Windshield Wipers, Driver & Passenger Seat Heater, Power Tilt & Slide Moonroof/Sunroof, POWER REAR DOOR W/KICK SENSOR auto and easy closer door, wireless lock, unlock and panic alarm, BLIND SPOT MONITOR manual retractable outside mirror and lane change assist, ROOF RACK CROSS BARS, ACCESSORY PACKAGE 2 Carpet Cargo Mat, Rear Bumper Applique, Key Gloves, Alloy Wheel Locks, HEATED 3-SPOKE LEATHER STEERING WHEEL paddle shifters. Lexus UX 200 with Eminent White Pearl exterior and Black interior features a 4 Cylinder Engine with 169 HP at 6600 RPM*. Contact Lexus Santa Monica at (424) 229-9998 or online to learn more about this Lexus UX 200 for sale near Santa Monica. See this UX 200 at our lot! At Lexus Santa Monica in Santa Monica, we have the new and used vehicles you have been looking for! 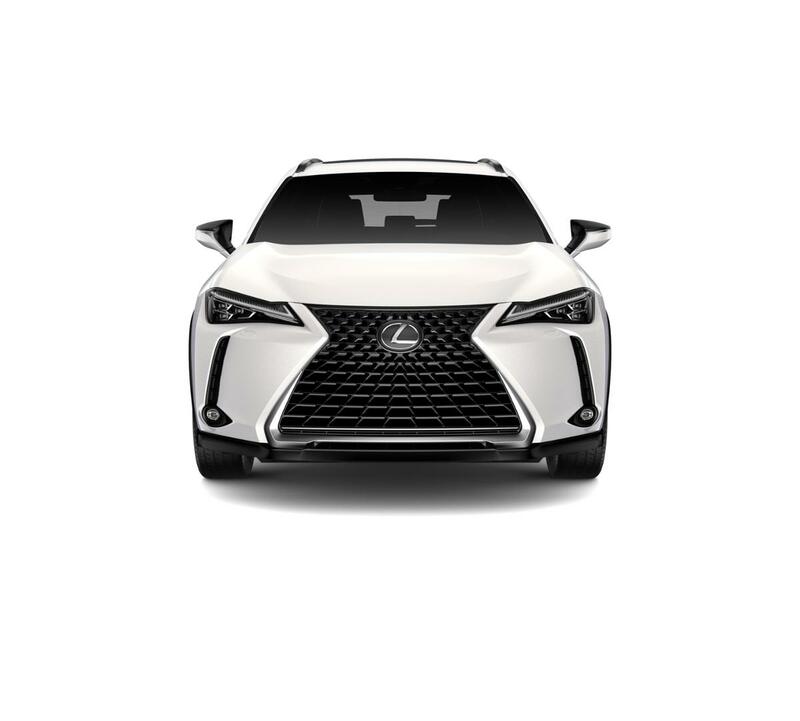 This Eminent White Pearl 2019 Lexus UX 200 , is available right now at your Santa Monica Lexus dealership. Call us at (424) 229-9998 if you have any questions about this Lexus or any of the other vehicles at our Santa Monica Lexus car dealership. Lexus Santa Monica offers this Lexus UX 200 for sale. All our new and used vehicles undergo an inspection to make sure they're of high quality and worthy of being offered at our dealership and this UX 200 is no exception. View all the details on this vehicle above and then come see it in person at our dealership and take it for a test drive. If it turns out this Lexus UX 200 isn't for you then we have many, many other vehicles to choose from. If you have any questions regarding this Lexus UX 200 or any other vehicle we offer for sale don't hesitate to contact us at (424) 229-9998.